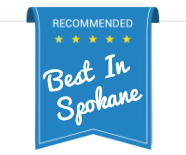 Spokane Carpet Cleaning - Starting At Only $36 A Room! Using the most thorough advanced technology and chemistry available in our industry, Clean Customs provides an environmentally friendly approach to professional carpet cleaning. Our hot water extraction technique is the cleaning method most recommended by major carpet manufacturers. Pre-Inspection: We will inspect your particular areas of concern as well as noting carpet construction and soiling conditions. We will also advise you of any possible permanent staining that may exist. Furniture Moving: Sofas chairs and tables can be moved carefully. Larger pieces such as; beds, dressers, entertainment centers, china cabinets and other liability prone items are left in place. Pre-Condition & Pre-Spot Treatment: Traffic areas and spots are pre-treated for a more effective soil and spot removal. Pre-Groom: Your carpet will be pre-groomed with a carpet groomer to further loosen soil in the traffic areas. Extract and Rinse: Once the soil has been loosened, our hot water extraction process will thoroughly rinse the carpet pile. Pressure and heat are regulated so that your carpet is never over-wet. Post Spot treatment: If any spots are not removed during the leaning process, specialty spotting techniques are employed after the thorough cleaning has been preformed. Note: Permanent stains may be in fact permanent. Soon you will see why more homeowners choose us for all their carpet cleaning Spokane WA needs.